The C.N.E: A Day in Pictures! Well, the weather reports told us we would have thunder storms all day long and aside from a quick 5 minute rain shower we managed to have a beautiful sunny day at the C.N.E. 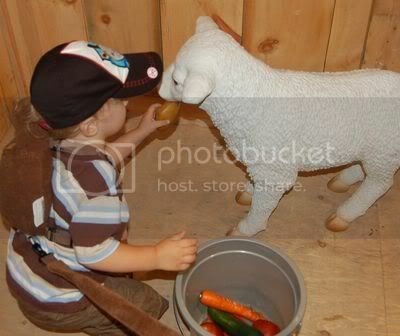 (Canadian National Exhibition). We always know the summer is coming to an end when the C.N.E comes to town in the final three weeks of the summer! Next weekend it will close down after labour day and a grand air show which we are able to see from our place. Today was a great day but alas we are all exhausted from the heat and humidity along with all the walking that we did. Here’s our C.N.E. story…. Michael, Jacob and Jimmy decided to start the day out with a GO Train ride since Jacob’s LOVES trains! The rest of us met them at the C.N.E. grounds! 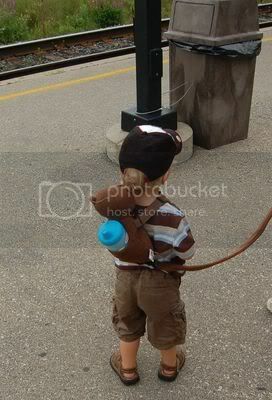 Jacob and his monkey back pack wait for the train to arrive! 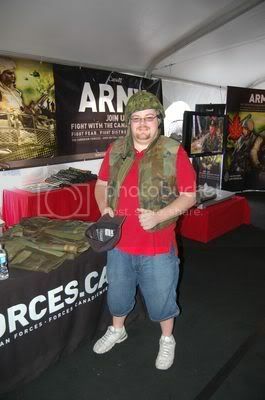 When we first get there I try to convince Michael and Jimmy to join the army but since the vest didn’t fit either of them properly they were both rejected! 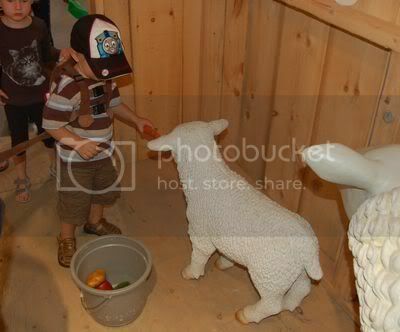 Jacob gets the opportunity to go to the farm building where he is able to do all sorts of fun things! 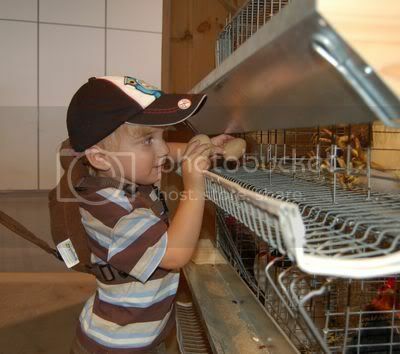 Here he is gathering some eggs from the hens! 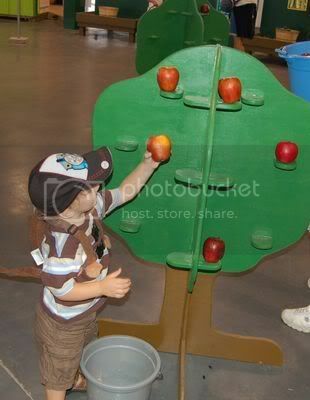 No farm trip is complete without some apple picking! Gotta remember to feed the sheep! Sheep need loving too! 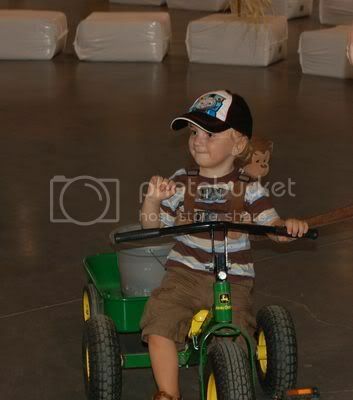 Pulling all his crops on his good ole John Deere! 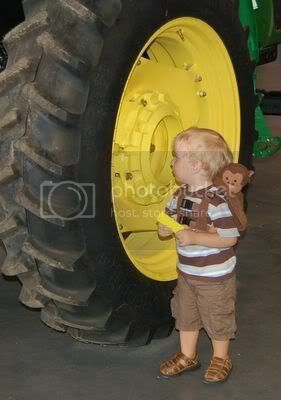 We took a picture of Jacob near this wheel last year and my gosh he’s grown so much! It’s so sentimental to look at this picture! 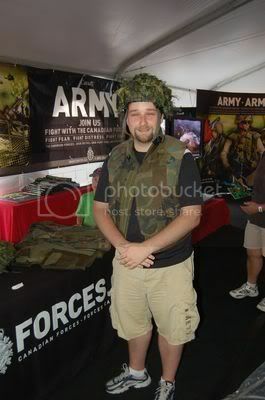 During our time at the C.N.E. 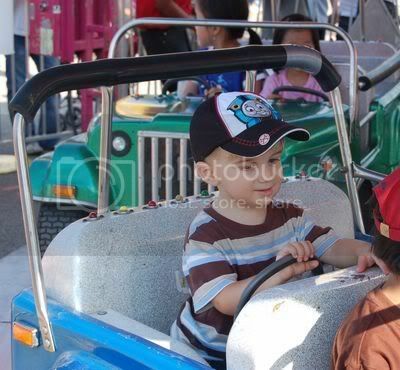 Jacob got to go on his first every amusement park ride! 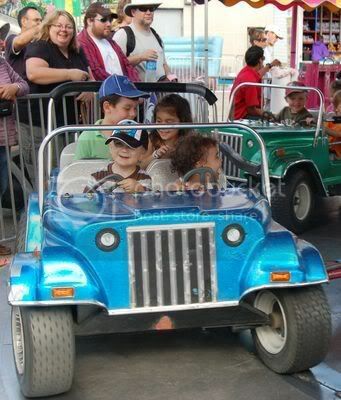 He was just thrilled to be sitting in the car but when it started to move and go around and around he was so excited! 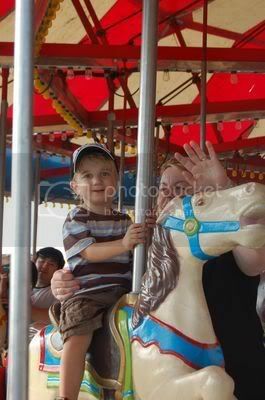 Up next was a trup on the merry go round with Nana! 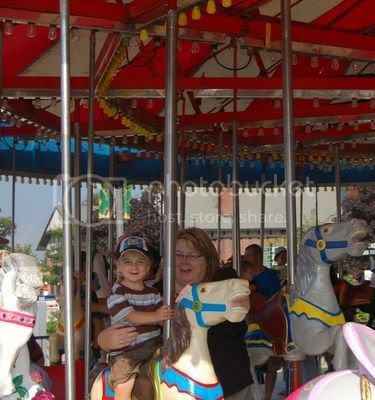 This next ride made Mama get a nauseated feeling in her stomach but it seems Jacob loved it just like the other’s! 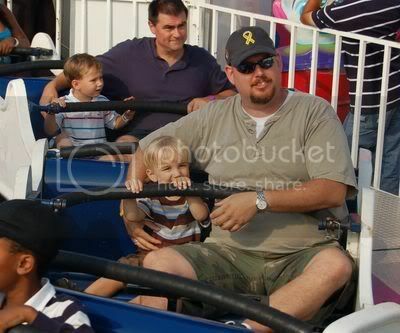 He probably enjoyed it because he got to go with Papa! 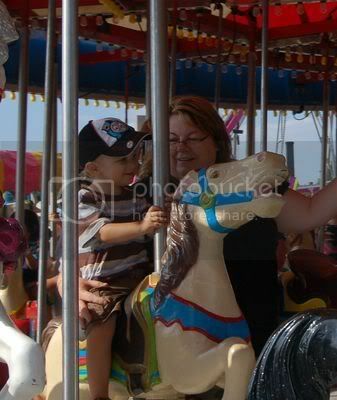 It wasn’t a moment after the last ride and Jacob wanted to go back to the very first one! 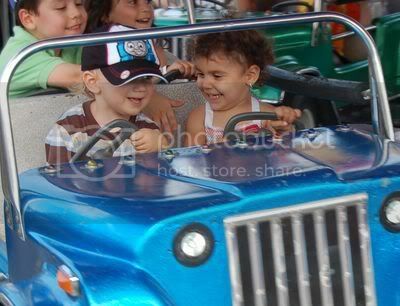 So off to the cars we went! 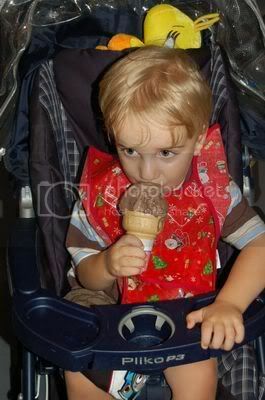 We finished the day with Jacob’s first ever ice cream cone! Mmmm…..do you think he enjoyed it?